Customer support can often be overlooked as an essential part of an organization. People tend to underestimate the importance of providing quick and effective responses to the issues your customers might have. Good support can greatly improve customer satisfaction and is crucial in maintaining brand loyalty. So to help explain what a support representative actually does, let’s start with the basics. What is the definition of a support ticket? The term “support ticket” describes the interaction between a customer and a service representative. It’s the basic element of any customer experience related job—allowing your business to create, update, and hopefully resolve any issues your end-users might have. 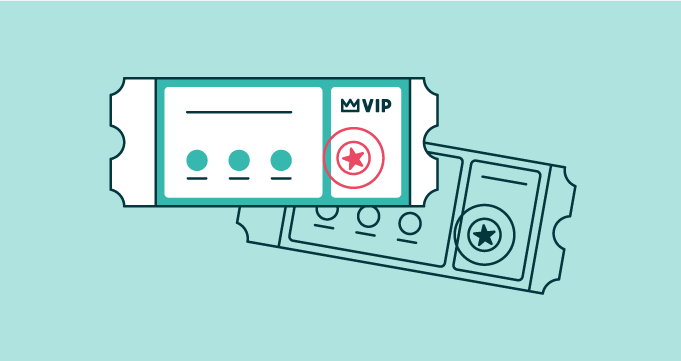 Tickets can also be a great way for your customers to receive general information about a products or services your company offers. Likewise, a good ticket support system allows your organization to manage and maintain a list of common issues or questions that your customers may be having. Before the advent of help desk software, tickets were literally little cards that would be filled out manually by a member of your support team. Once a query was submitted, you would put the ticket in a certain pigeon hole depending on its subject matter and they would usually be resolved in the order they were received in. Today, customer support staff can deal with a much higher ticket volume, while offering quicker response times thanks to the wonders of the modern help desk. Tickets can come from a variety of channels, such as social media, email, or the customer support portal that you have set up on your company’s website. An omnichannel approach to customer service enables companies to streamline their ticket workflows by organizing requests from all your channels and bringing them to one comprehensive inbox. Omnichannel ticketing systems are a great way to improve efficiency by ensuring that two support agents don’t accidentally respond to the same ticket. Some help desk providers have chosen to ditch the term “support ticket” in favour of more “human sounding” terms like “conversations” or “chats”. But we aren’t shy to call our ticketing system what it is, because we know our product can help you resolve your customer’s issues in a manner that lives up to their expectations. Our service level agreement (SLA) feature, for example, will automatically notify management if customer service agents aren’t responding to tickets in the timeframe you promised your clients. Good customer support software doesn't only let you create new tickets and handle pending ones effectively. Your ticketing system should also provide a way to establish a knowledge base of common issues your users are experiencing. Once a frequently asked question or request comes in, there should be some level of automation to deliver your customers towards an FAQ page. Otherwise, you could mark open tickets as a certain status so your team knows the issue is common and can be responded to en masse. While some level of backlog is expected, your management needs to create a queue system that prioritizes tickets so no customer request is left open for too long. Some support tickets may not even require much from your agents, and customers can get directed to articles that can help them find self service solutions instead.